The Sons Of Liberty - How to End Tyranny! 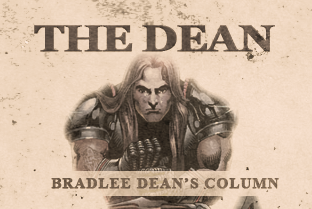 Home - The Dean-How to End Tyranny! There has been great concern about how Tyrant Barack Hussein Obama has been out there attempting to win the hearts and minds of our young through his twisted and un-American ideologies. Synonyms for a tyrant are oppressor, dictator, bully, despot, persecutor. After performing constitutional lyceums in 341 high schools across America, I have seen firsthand the indoctrination being imposed on the future generations of this great country – which, for the most part, they are rejecting. I recently returned from a tea-party speaking tour in Florida, and the No. 1 concern these patriots brought up to me was how to reach the next generation. Finally, they were asking the right questions to bring our country back in the right direction. The answer is all too simple: Show them the price of freedom. When performing my high school assemblies, I will ask the students in the assembly how many know their Constitution. Many begin to laugh in sheer ignorance. I tell them that if they do not know their rights, they don’t have any rights. I then ask them how many have grandparents, uncles, aunts, cousins, dads and moms – maybe even brothers and sisters – who have fought, bled, or died to ratify and magnify the Constitution they do not even know. About 85 percent of them do, and it hits home with the students. All of a sudden it is no longer funny. After seeing the price of freedom, the entire room is immediately captivated with a new love and respect for America and the laws of our constitutional republic. They will also no longer tolerate anyone – especially tyrants – who would attempt to desecrate those who made the ultimate sacrifice.